Goodbye homework! Hello holidays! After the long intensive school year the well deserved break for the small ones of the household (well, for everyone) has finally arrived: time to enjoy sunny days at the beach with the family; to return to the grandparent’s village… So what will they be carrying in their suitcases for these holidays? 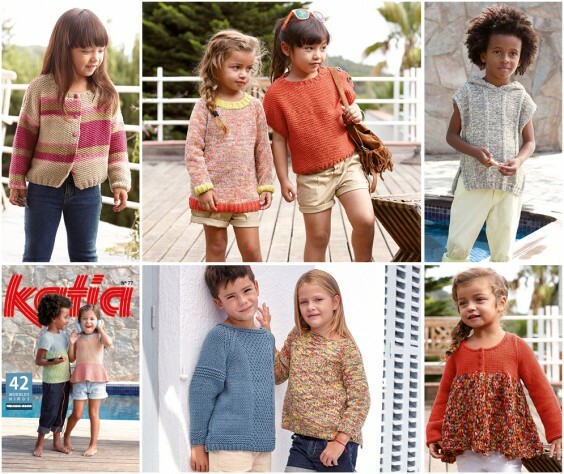 The best, the coolest and the most cheerful garments… the ones that have been hand made with love by you. If you need some ideas, we invite you to discover 42 knit and crochet designs for girls and boys, aged from 2, 4, 6, 8, 10 to 12 years, in our Katia Kids 77 Spring-Summer magazine. 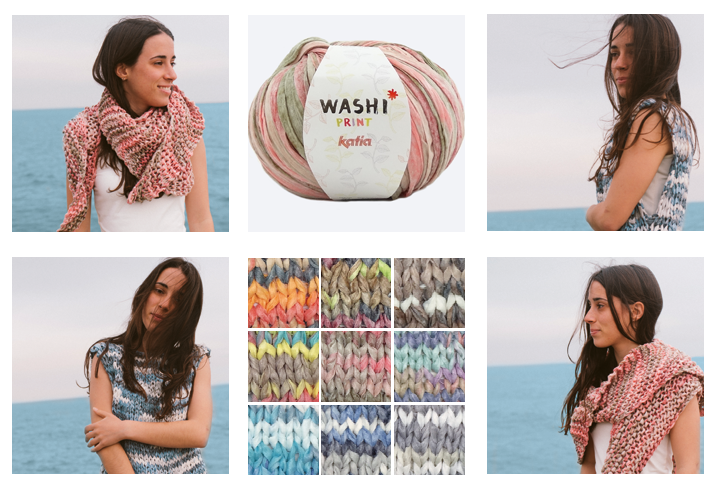 Tops, sweaters, jackets, dresses, waistcoats, bags… knitted or crocheted with light, comfortable tape yarns and different weight cotton yarns in fashion colours like aquamarine, coffee, coral, pink, quartz… plus fun multicolour printed effects. 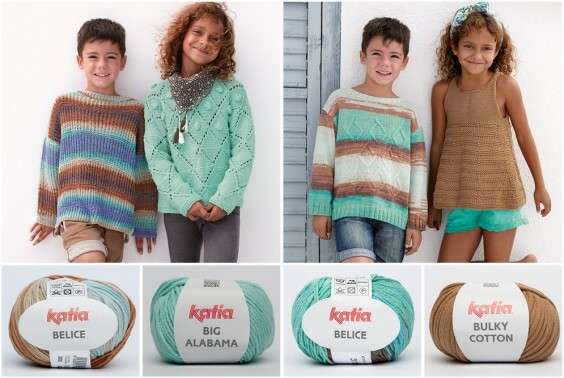 Chose from the wide selection of pastel colours and your favourite colour combinations in Katia Cotton 100%, Katia Alabama and Katia Missouri, and with only a few balls of yarn you can make these beautiful, simple garments: boy’s sweater in Alabama (mod. 1), girl’s jacket in Missouri (mod. 2), girl’s top in Missouri (mod. 3), boy’s T-shirt in Cotton 100% (mod. 5), girl’s top in Missouri (mod. 6) and gir’s sweater in Cotton 100% (mod. 10). 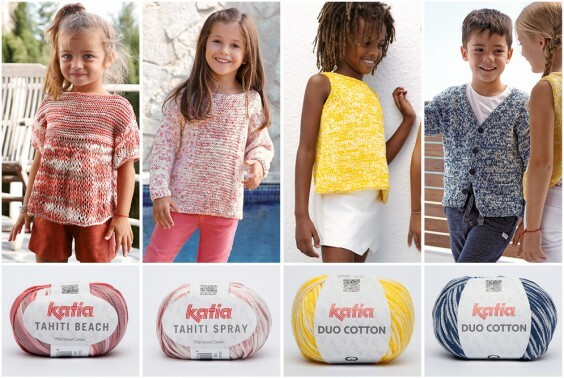 Surprise them with a soft blend of colours made with Katia Tahiti Beach (mod. 14) and Tahiti Spray (mod. 4). And for the more adventurous, Katia Duo Cotton (mod. 25 & mod. 27) creates a printed marble effect in lively solid tones combined with white. 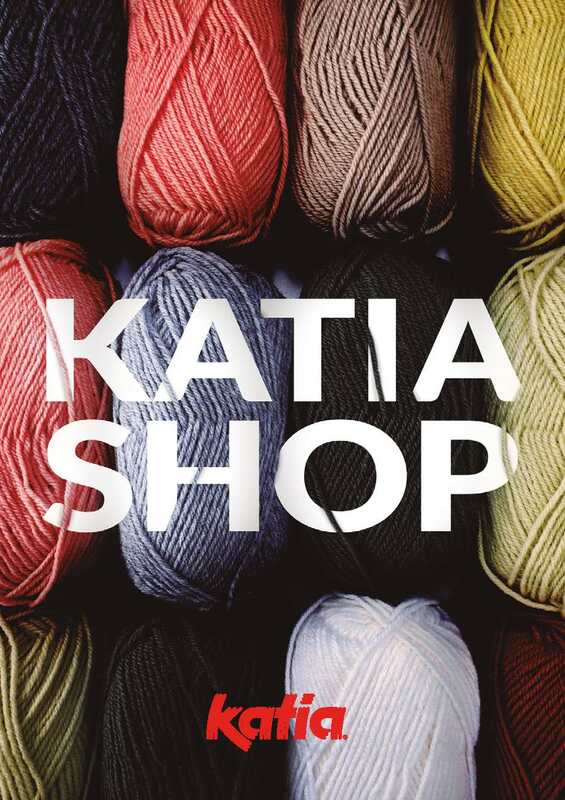 Knits and crochet projects in a thousand colours? 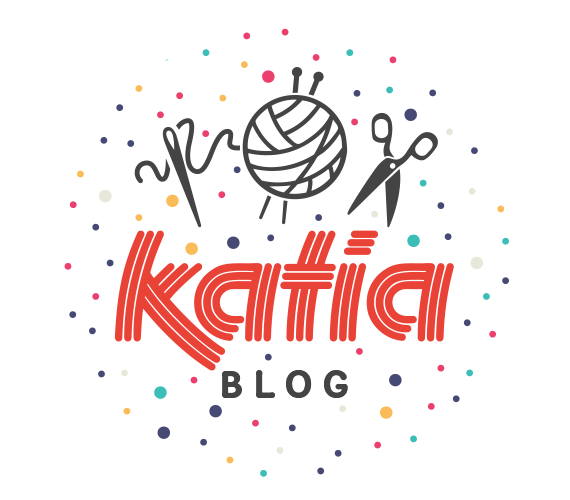 Then Katia Chromatic (mod. 21 & mod. 26) and Katia Jaipur (mod. 11 & mod. 36) are the best options to make these cool, amusing and fun designs. 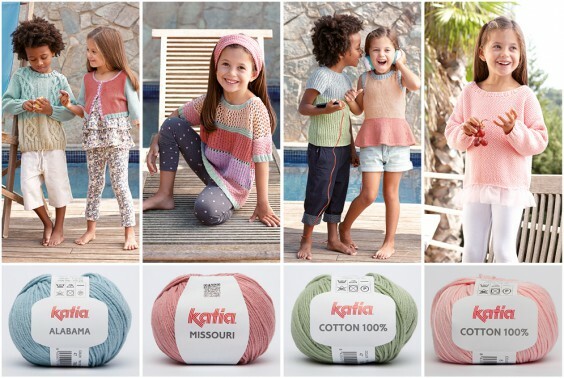 We’ve already told you which colours are in fashion for this summer according to Pantone (click here to see the post). 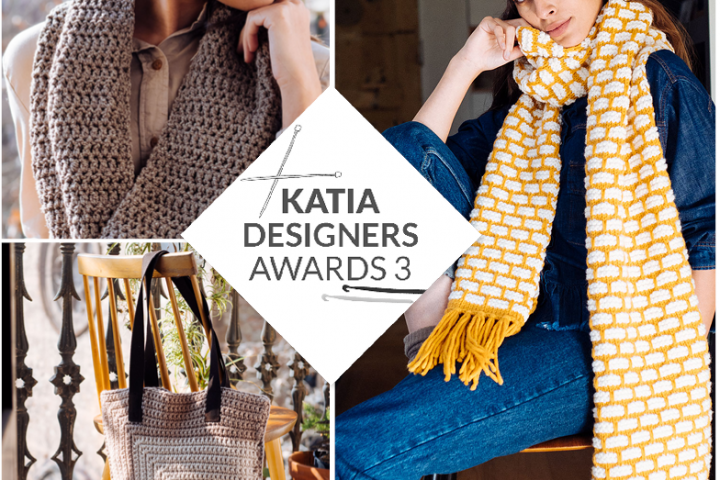 In these designs made with Katia Belice (mod.28 & mod. 30), Big Alabama (mod. 29) and Bulky Cotton (mod. 31) we’ve combined three of these fashion colours: Serenity blue, green aquamarine Limpet Shell and light brown Iced Coffee. 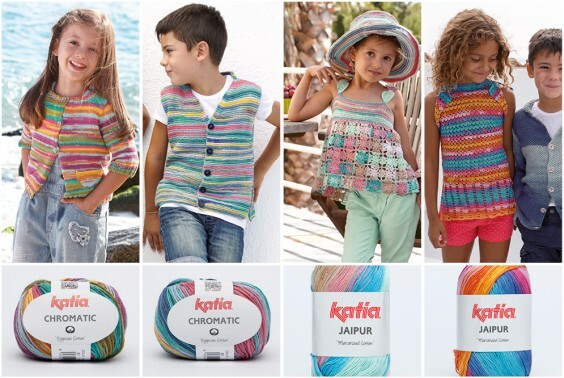 These are just some of the 42 knit and crochet designs from our Katia Kids 77 Spring-Summer magazine. Visit our web page and discover many more models to fill their suitcases with unforgettable memories these holidays. 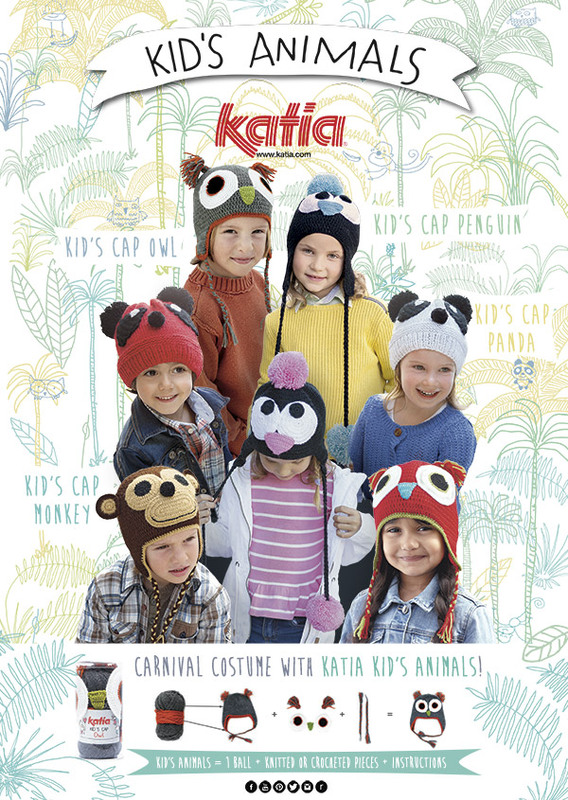 What is your favourite Katia Kid’s Animals for Carnival? Enter our draw for 5 double packs!